Following on from our blog post all about our favourite design-led Twitter accounts, the SRL Studio Team has put together a roundup of Instagram accounts for creative inspiration. The photo and video sharing app is not only a place to be social and share memories with friends it’s a great place to get visual ideas and see other people’s way of creative thinking. With everyone from emerging artists to make up brands taking advantage of the platform there are so many different ways to get involved and inspire visual content. Aren’t we always told not to play with our food at the dinner table? 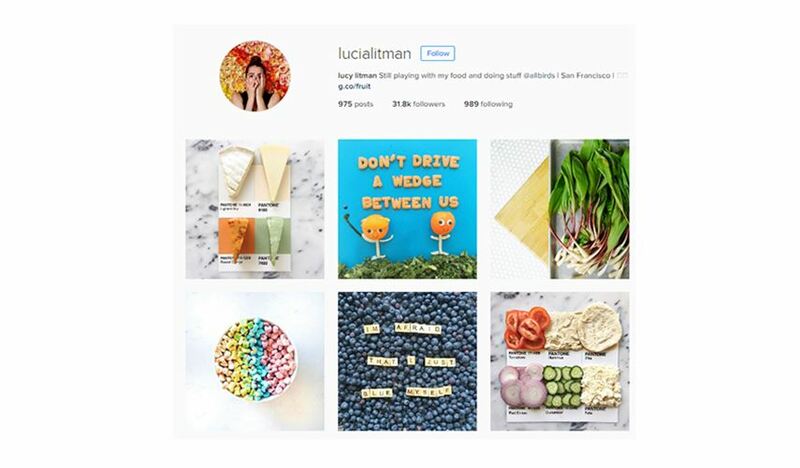 Well, try telling that to Lucy, a food stylist (can we be one of those!?) who keeps her thousands of followers updated with fun photography projects matching foods to their corresponding PANTONE colours. 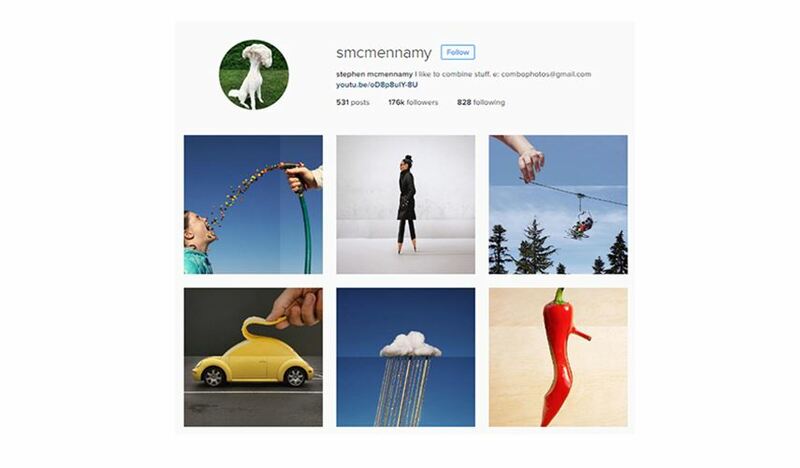 Combophotos are the brainchild of creative director, Stephen Mcmennamy. Using two images paired together to make a cleverly composed single image. Rather than using stock imagery, the photos are something that Stephen goes out and shoots himself, making you appreciate the time and effort of this Instagram feed even more. 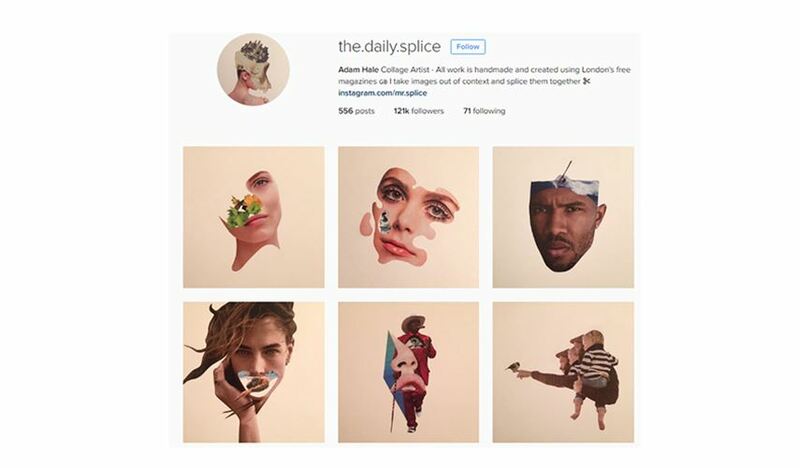 Adam Hale is a collage artist who makes hand rendered pieces using London’s free magazines. He takes them out of context and splices them together – hence the Instagram name. All set on the same back drop it makes for hours of endless scrolling of cleverly composed images. Working in a digital world it is always enjoyable to go back to basics and create inspiring visuals using traditional methods. 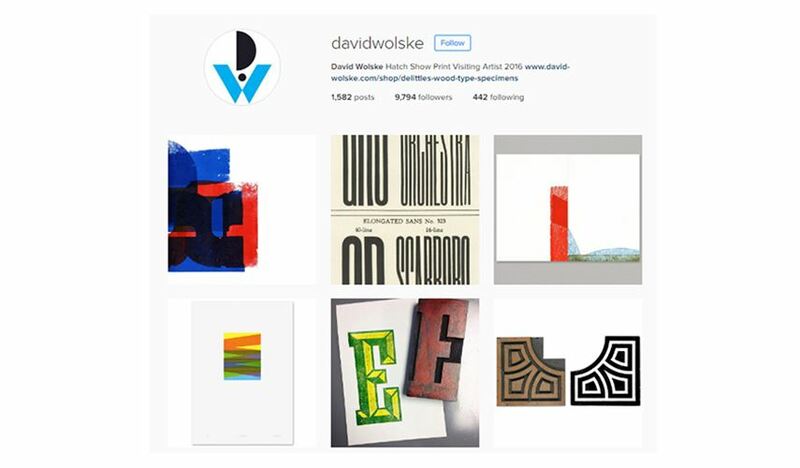 That’s exactly what letterpress artist David Wolkse does, he experiments with various fonts and colours to create layered typographical prints. 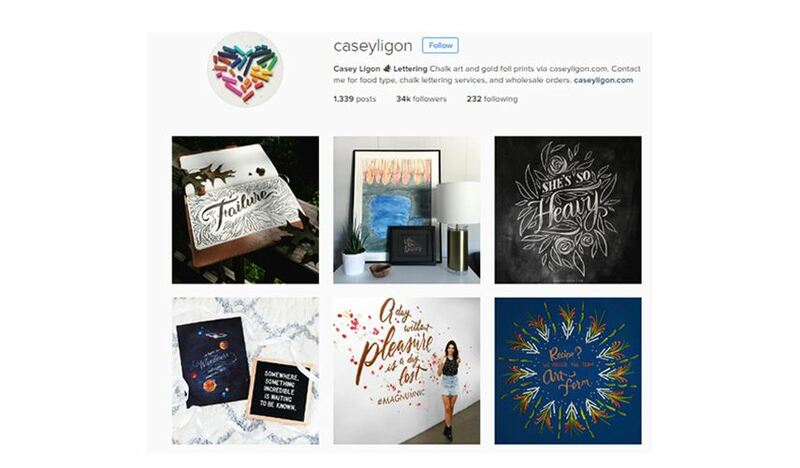 Lettering artist Casey has an Instagram feed that is full of inspiring images for font and calligraphy ideas. She also uses everyday objects like chalk, flowers and even ketchup to cleverly create fancy written quotes. 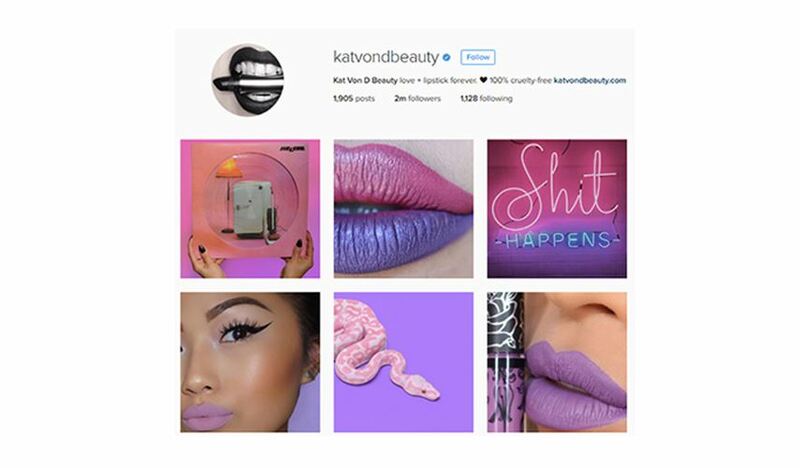 This beauty brand deserves a special mention because the layout of their Instagram account must be meticulously planned. Best appreciated on a desktop, images are laid out to create a rainbow feed seamlessly blending hues from purples and pinks to blues and greens. 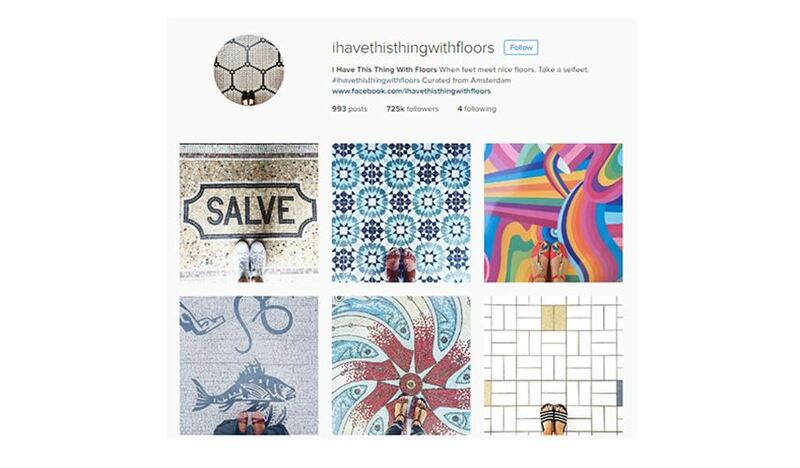 Who would have thought an account dedicated to images of feet on the ground would make for inspiring viewing. Of course, each of the photographs included are on a beautiful background of tiled floors with pretty patterns. If you’re not already, make sure you check us out on Instagram to see what we get up to!